Many social networks today like Facebook, Instagram, and Snapchat support video, so YouTube may seem like yesterday’s news. For many businesses, however, it still offers the best opportunity to reach your target audience via video. YouTube users arrive ready for video content. They’re more likely to stick around longer—provided the video holds their attention and fulfills its promise. This is quality relationship building time. Furthermore, Google loves YouTube videos, and you can compete for a spot in those rankings with videos of your own. The community has one billion users—about one-third of all internet users. 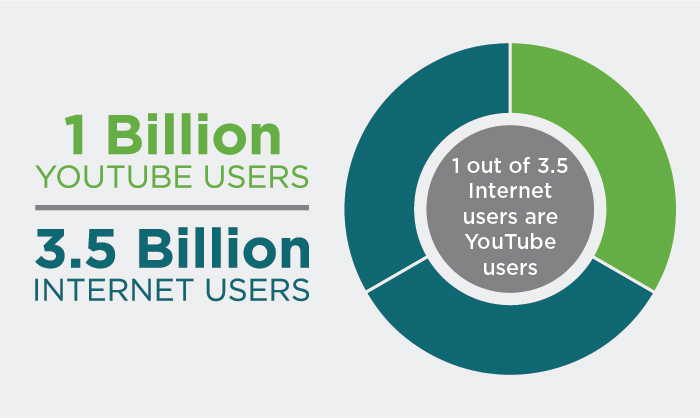 YouTube reaches more 18 to 34 and 18 to 49 year-olds than any cable network in the U.S.
You can navigate YouTube in 76 different languages, which covers 95 percent of the internet population. People watch a billion hours of YouTube every day. Knowing just how vast YouTube is, you might feel intimidated when trying to compete. How can you ensure the widest possible audience sees your video? 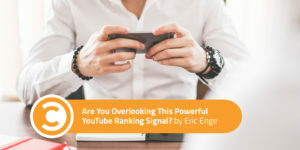 Of course, you can promote your YouTube video through a variety of avenues, like paid advertising or social promotions—but there’s one often-overlooked action you can take that will feed into the most powerful organic ranking signal on YouTube. And I’m not talking about basic optimization techniques like video titles, descriptions and tags (though YouTube descriptions offer a little-known opportunity to help you obtain featured snippets in Google). 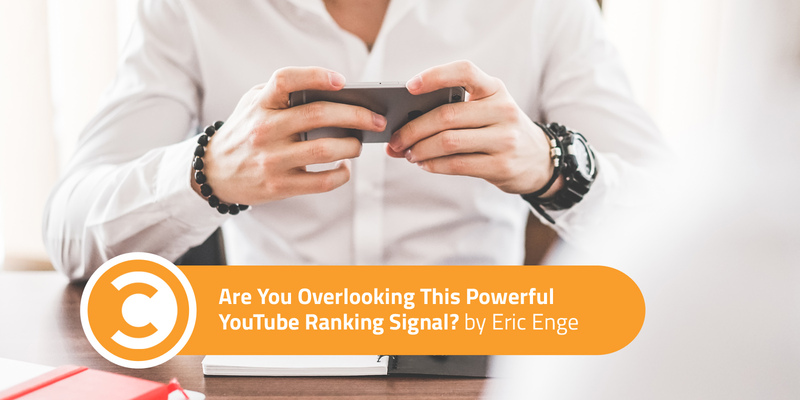 It’s no secret that the average time people spend watching a video is among the most important organic ranking signals within the YouTube platform. However, there’s something you may not know: YouTube doesn’t just care about how much of a video someone watches. YouTube cares about how much YouTube video in total someone consumes in a session. For example, if a person were to start a YouTube session watching one of your videos and then continue to watch other videos (whether in your channel or those submitted by other parties), the total time they end up spending on YouTube affects the rankings for your video and your channel. That means the ranking power of your channel and videos surges when your video sparks a lengthy YouTube session—even if a viewer spends much of that time watching other users’ videos. If, on the other hand, they watch most or all of just one of your videos and then leave, that’s certainly good for that particular video, but it doesn’t have as powerful an effect as when a person goes from one video to the next. Here’s how to optimize for this organic ranking signal and encourage longer YouTube sessions amongst users. 1. Make sure most of your videos are in playlists. When a video lives on a playlist, another video from the same playlist will play after the current video finishes. If your videos are engaging, your playlists are well put-together, and you’ve captured a viewer’s attention throughout the first video, viewers will be more likely to continue their YouTube sessions. 2. Keep the majority of your videos brief and laser-focused on their core topics. If you lose the viewer’s attention, it’s likely they’ll click away from the video and YouTube altogether. Wistia posted some research on optimal video length in 2016 here, but remember, the best length for your content may vary. 3. Use paid promotions on YouTube. Metrics such as watch time on the videos you pay to boost engagement count towards the ranking power of your channel. This is an excellent reason to use paid promotion on YouTube. As you get better at targeting, you’ll uncover the slice of YouTube’s audience most likely to enjoy your videos. You’ll attract more views and longer watch times, which impact the organic search aspect of your YouTube channel. YouTube has been around for more than a decade, and it continues to be a place where people go to consume video content—even with all the other choices out there. 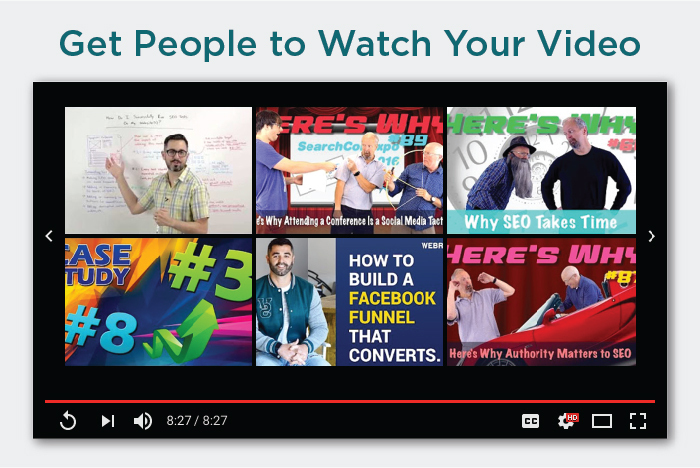 Take the time to optimize your video marketing using the steps I outlined today, and you may just see your YouTube visibility grow enormously.